Hogue Stocks come standard with aluminum pillar bedding. These pillars inserted at critical action mounting bolt locations guarantee an accurate rocksolid action fit that will not shoot loose.The OverMolded Stock does not use the original barrel band but does utilize the original stock attachment screw. 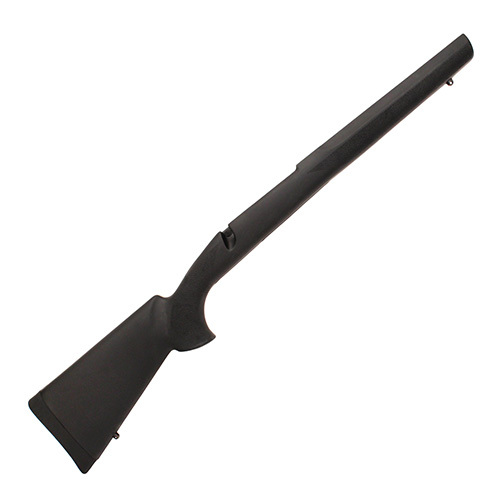 It is not compatible with lookalike lever action model rifles.This model has a black finish and is compatible with Ruger 1022 with standard barrel channel.